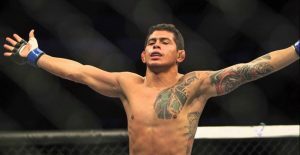 USADA announced today that UFC® athlete, Carlos Diego Ferreira, of Amazonas, Brazil, has accepted a 17-month sanction for an anti-doping policy violation after declaring the use of a product that listed and contained a prohibited substance, and testing positive for another prohibited substance. Ferreira, 31, tested positive for Ostarine as a result of an out-of-competition drug test conducted on April 29, 2016. During the sample collection process, Ferreira declared the use of a product on his sample paperwork that listed the prohibited substance 7-keto-DHEA (7‐keto-dehydroepiandrosterone) as an ingredient. Ferreira’s sample was subsequently reported as adverse for the presence of Ostarine, a prohibited Selective Androgen Receptor Modulator (SARM), along with a laboratory finding that was consistent with Ferreira’s declared use of a product containing 7-keto-DHEA. Both Ostarine and 7-keto-DHEA are prohibited substances in the class of Anabolic Agents and prohibited at all times under the UFC Anti-Doping Policy, which has adopted the WADA Prohibited List. Following notification of his positive test, Ferreira tested several of the supplement products he was reportedly using at the time of his positive test. Although Ostarine was not listed on any of the supplement labels, preliminary testing conducted on the supplement product that listed 7-keto-DHEA as an ingredient indicated that it also contained Ostarine. At USADA’s request, the WADA-accredited laboratory in Salt Lake City, Utah, independently obtained and analyzed the contents of an unopened container of the supplement in question. That testing conclusively confirmed that although the supplement only listed one prohibited substance as an ingredient (7-keto-DHEA), it actually contained 7-keto-DHEA and a second undeclared prohibited substance (Ostarine) as well. Ferreira advised USADA that although he researched the product prior to using it, he did not realize 7-keto-DHEA was a prohibited substance, or that the supplement contained Ostarine. The product has since been added to the list of high risk supplements maintained on USADA’s online dietary supplement safety education and awareness resource – Supplement 411 (www.supplement411.org). Under the UFC Anti-Doping Policy, as well as the World Anti-Doping Code, an athlete’s period of ineligibility for using a prohibited substance may be decreased depending on the athlete’s level of fault for the anti-doping policy violation. 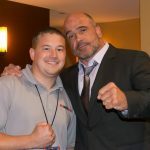 The UFC Anti-Doping Policy further provides that the prompt admission of an anti-doping policy violation may also be considered a mitigating factor in determining an appropriate sanction. Based on the circumstances of Ferreira’s violation, USADA determined that a reduction to 17-months from the standard two-year period of ineligibility was justified. With this resolution, Ferreira has accepted a period of ineligibility that is longer than the one-year sanction imposed by the Nevada State Athletic Commission (NSAC) on June 21, 2016. Although Ferreira’s sanction under the UFC Anti-Doping Policy arises out of the same set of facts that led to his NSAC sanction, per the UFC Anti-Doping Policy, the UFC will recognize and enforce the lengthier period of ineligibility agreed to by USADA and Ferreira. Ferreira’s 17-month period of ineligibility began on April 29, 2016, the date his positive sample was collected and the date on which he declared his use of a product that contained two prohibited substances.